This listing is for one crocheted bowl made from 100% cotton and pure wool. 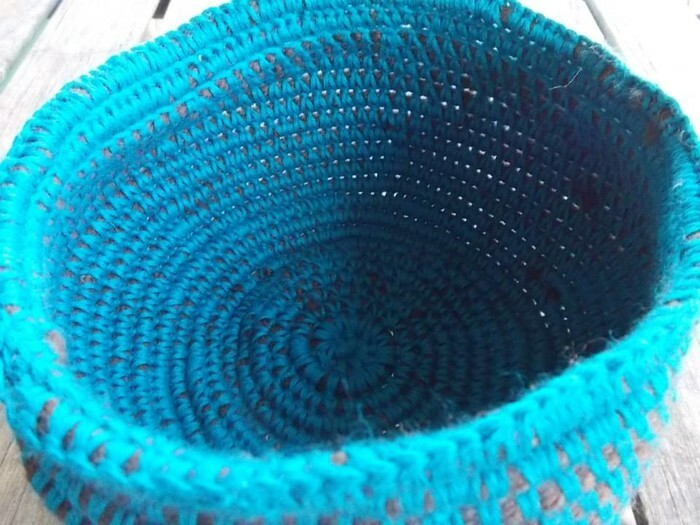 Made from an original design in brown and teal yarn, this basket is machine washable and perfect for a range of items from balls of yarn through to face washers, socks, hankies, keys, fruit or walnuts. The bowl is approximately 25cm in diameter and about 15cm high. Combined postage is available for all purchases - ask me for a final price before completing checkout.